Days after Jennifer Lopez's tribute to Motown at the Grammys, we're still trying to figure out why she was tapped for the performance. 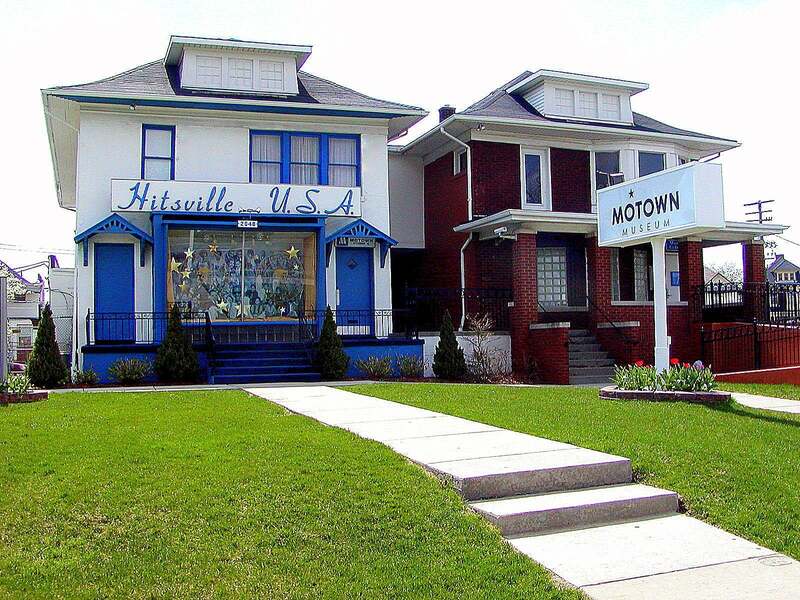 When you think of the Motown what comes to mind? For me, it’s crisp dance steps, immaculate harmonies, and lyrics that spoke of love, celebration, and longing. I think of the Temptations, the Supremes, Martha and the Vandellas, Marvin Gaye, Gladys Knight, the Four Tops, the Jackson 5, and Stevie Wonder. Motown is synonymous with soul — the kind of life-altering, everlasting soul Black musicians during the label’s heyday produced with their whole bodies. When I think of Motown I think of my parents, my aunts and uncles, and family reunions spent eating way too much BBQ and listening to the old heads wax poetic about their day. When I think of Motown I think of Black excellence, and barrier-breaking, and a legacy of artistry that will stand the test of time. When I think of Motown, Jennifer Lopez never crosses my mind. And yet, show producers for the 61st annual Grammy Awards tapped the Boriqua entertainer to pay homage to the greatest Black record label of all time for reasons I’m still trying to figure out. Lopez defended her choice to perform the tribute by arguing “any type of music can inspire any type of artist,” which is true. But that doesn’t mean she should have been the artist chosen to honor Motown. To be clear, I don’t have anything against Jenny from the Block. Like millions of other folks, I bopped along to “If You Had My Love” and “Waiting for Tonight,” and think Lopez is a great performer. Still, she is not a daughter of Motown’s sound. She is not a Black woman, and most importantly, she just doesn’t ooze the kind of soul needed to pay homage to an institution that was built by the struggle of Black folk to be treated as fully equal human beings. Did she sing the songs correctly? Yes. Were her dance steps energetic? Sure. But did J Lo’s performance have an ounce of soul? Hell nawl. Much respect to the elder, but Robinson is just straight up wrong on this one. 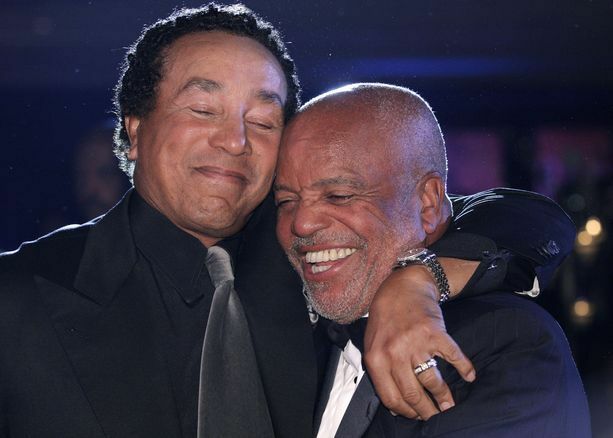 Robinson hugs his best friend and fellow Motown legend Berry Gordy after singing a tribute to him at a 50th anniversary celebration of Motown October 20, 2007, in Detroit. With so many talented Black women to choose from — Patti LaBelle, Jennifer Hudson, Fantasia, Ledisi, Solange, Kelly Price, Jorja Smith, Jazmine Sullivan, Keke Wyatt, Brittany Howard, and Faith Evans just to name a few — choosing Lopez, someone who forgot to pay homage to Gordy at the end of her performance (she shouted out out her mom instead), just seemed like an ill fit…and a slap in the face. Black women were a huge part of Motown’s success, and yet on music’s biggest night, they were not even included in a tribute to an institution that threw open the doors for sistas to express themselves through music. No shade to Lopez, but Motown, and the fans who grew up on the label’s iconic music, deserved much more than what we saw Sunday night.